Despite making notable gains at the local level, very few African Americans have been elected to the high-profile statewide offices of governor or U.S. senator. Previous research offers little systematic evidence on the role of racial prejudice in the campaigns of African Americans trying to reach these offices for the first time. In this paper, I introduce a new data set designed to test whether African American candidates for these offices are penalized due to their race. Comparing all 24 African American challengers (non-incumbents) from 2000 to 2014 to white challengers from the same party running in the same state for the same office around the same time, I find that white challengers are about three times more likely to win and receive about 13 percentage points more support among white voters. These estimates hold when controlling for a number of potential confounding factors and when employing several statistical matching estimators. The results conflict with earlier studies that focus on a single gubernatorial contest or elections at the U.S. House level. I thank Jose Manuel Corichi Gomez and Kaitlin Braband for research assistance. For feedback and suggestions, I thank Tali Mendelberg, Martin Gilens, Christopher Achen, Jon Bakija, Sarah Jacobson, and participants at the Princeton American Political Behavior Workshop and the 2018 Annual Meeting of the Western Political Science Association. 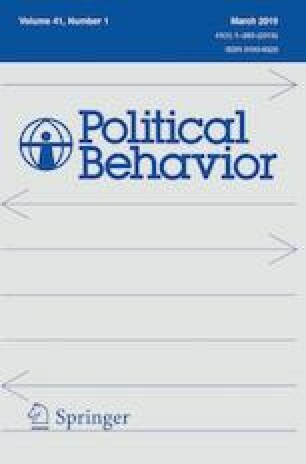 The data and code necessary to replicate the results of this paper are available in the Political Behavior Dataverse: https://dataverse.harvard.edu/dataverse/polbehavior. The online version of this article ( https://doi.org/10.1007/s11109-018-9496-y) contains supplementary material, which is available to authorized users. Bonica, A. (2016). Database on ideology, money in politics, and elections: Public version 2.0. Stanford, CA: Stanford University Libraries. http://data.stanford.edu/dime. Accessed 24 July 2017.